Collaborate more effectively by understanding yourself and others better and learn to appreciate and respect differing personality preference types in our fun and informative MBTI team building workshop. Anyone who wants to better understand their own personality preferences and other personality types and how those preferences impact on the way we communicate, work, love and learn. The Myers-Briggs Type Indicator® (MBTI®) instrument is the most well known and trusted personality assessment tool available today. 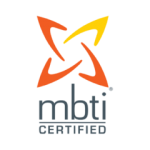 For over 70 years, the MBTI® instrument has helped millions of individuals and organisations throughout the world gain awareness about themselves and how they interact with others. As part of our MBTI® workshops all participants are required to complete an MBTI® instrument prior to the workshop. Reports will be distributed to participants prior to the workshop. Results are confidential.